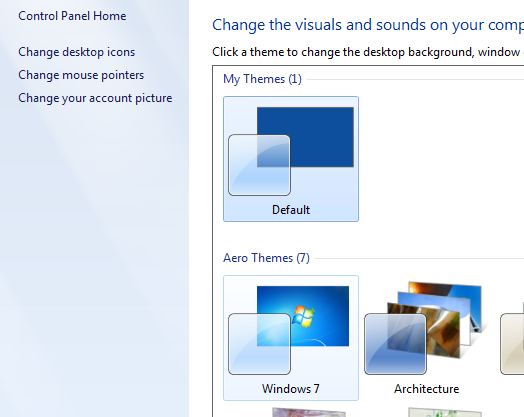 If I right-click my desktop, go into Personalize, switch to Win7 default theme, then back to my theme, the text shadow for the icons comes back. I want the text shadow showing at all times. How do I fix this issue? System properties, advanced, performance, visual settings, check drop shadows box........maybe?? Try placing your background file on the dektop, right click, set as desktop background.... Forget the personalize command...It seems like I have been down your path a ways back, just can't really remember what I did to solve it........? I know I did because my wifes computer has a custom background with drop shadows. 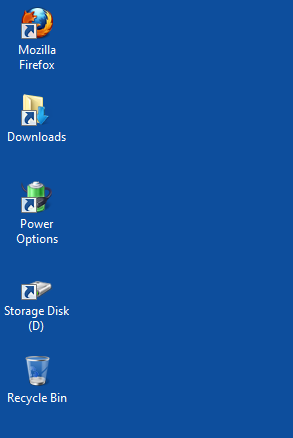 apparently windows handles desktop icon text shadows differently if you set the background to a solid color like blue. i set my background to grey using the personalize option. rebooting will then disable the shadows despite having the option enabled like ropecraf explained, switching themes brings them back. my workaround was to make a png of that grey and to set that as a background instead. you can use gimp to create that png. How to remove text from desktop icons?? 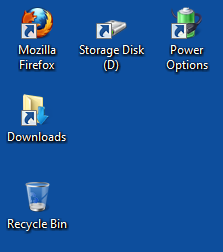 Windows 7 remove text from 2 desktop icons ?